Almost every household or offices have tiles installed anywhere in the structure. Tiles and grout add beauty and shine to our interior decors. In bathrooms and kitchen tile installation can help in providing water resistant and smooth surface for smooth flow of water. Tile and grout are prone to the growth of algae and mould if they come in daily contact with water. Tile mould removal is necessary to avoid any exposure to harmful mould to your family. Mould can also spread to other parts of your home too. Hire professional tile cleaning services to get rid of mould from your tiles and grout. If your mould infestation is not serious you can follow some DIYs and methods for tile and grout mould removal at home. 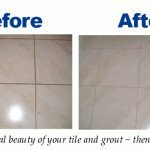 Fresh Tile cleaning, Australia is providing you with 3 easy methods for tile and grout mould removal at home. Keep reading below and follow instructions. Use baking soda and white vinegar for routine tile and grout cleaning and for tile and grout mould removal as well. Make a thick paste of baking soda and some white vinegar. Apply this paste on the black green layer of mould on tile and grout. After leaving the paste on the mould for some time you can use a brush to scrub off the black layer of mould from tiles. Make sure you scrub continuously till no sign of black mould is visible. Wash the tiles and grout with tap water or with the help of detergent. Use a wet cloth to finally wipe the surface of the tile after washing. The pungent smelling clove oil works excellently for tile and grout mould removal as it has strong antifungal properties. Use the small amount of clove oil and pour it on the black layer of mould on tiles and grout. You can also use some warm water with this oil if mould infestation is severe. Leave this clove oil on the mould present on the tile for few hours. You can wash your tiles with detergent water and use a brush to scrub off the black layer of mould. Using Clove oil in routine tile and grout cleaning will also prevent any future occurrence of mould on your tiles and grout. Tea tree oil is a strong antifungal and can also be used with vinegar for tile and grout mould removal. Mix some amount of tea tree oil with white vinegar and stir the solution. Spray or pour this solution directly to the black mould. Use a brush to scrub and rub off the black layer of mould and tea tree oil will further terminate the fungus. Use tea tree oil in your routine tile and grout cleaning to avoid the infestation of mould on your tiles and grout. 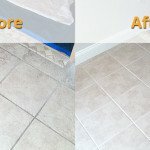 Fresh Tile Cleaning Australia is experience and age-old name it the field of professional tile cleaning services. Our skilled team of experts are equipped with latest machinery and tools to deliver you tile and grout cleaning and tile mould removal services. 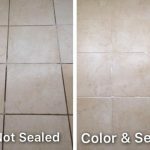 We can offer any kind of tile stain removal and grout stain removal service at affordable costs. Hire us today and get guaranteed results within 24 hours.